Despite it’s popularity, we had not been to Loe Bar, until today. But maybe that was fortuitous as it was a perfect day to see the Cornish coast in all it’s glory. 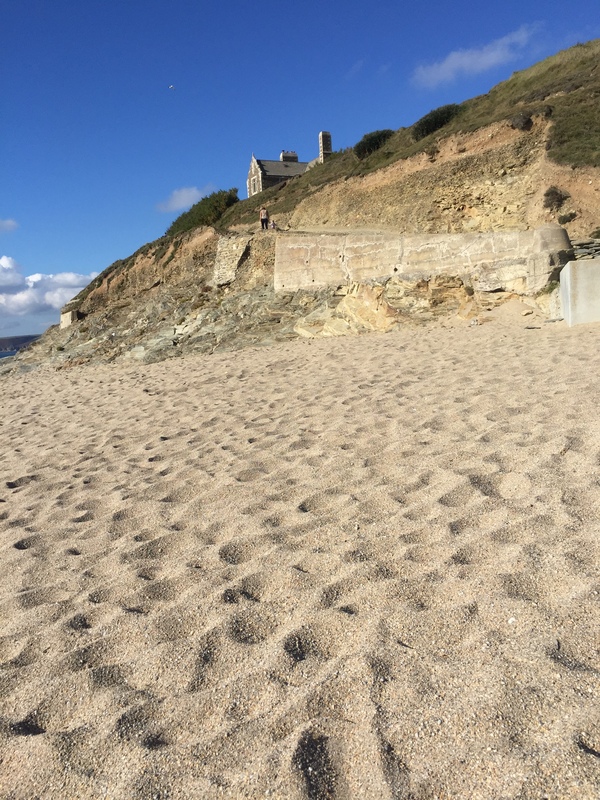 I’d long wanted to see Loe Bar – a sand bar that has formed between the river and the sea to create a freshwater lake and a beach with water on 2 sides. The river Cober once opened up to the sea here and some say it provided a passage to Helston where there was a harbour although there is little evidence for this. Others say it’s an ancient geological feature. The bar has been manually ‘cut’ on occasions to prevent flooding further up the valley. The sea has always sealed the breach. A friend had recommended a walk here and I’d researched a few alternatives – there are lots of footpaths to choose from including one that circles Loe Pool, see these directions from Cornwall Today. We’d planned a shorter route beginning at Penrose Hill National Trust car park. It seems this is a popular spot as the car park was chocka when we arrived. We drove on towards Loe Bar where there are more car parks and we picked up the costal path from here. The path is popular with walkers and cyclists (hence the busy car parks) and today we saw a couple of people riding. 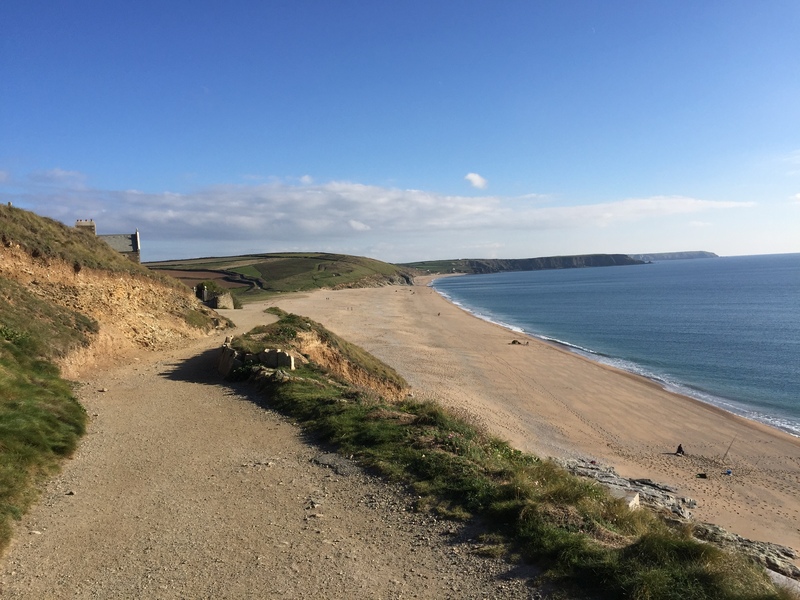 A combination of weariness, that Sunday afternoon feeling and warm sunshine meant that we didn’t progress any further than Loe Bar. It has that kind of sand that’s somewhere between small pebbles and fine sand. I’m sure there’s probably a name for it. We wondered how long it would take for the sea to reduce it to sandy sand; or more likely it’s to do with the currents and what type of sand gets deposited where. Anyway, we enjoyed pleasant wonderings about this and other things whilst the children played. Eldest was making a flushing toilet from sand (as you do). It was not put in to use thankfully. Youngest was happy just digging holes. We take a couple of very small spades on walks with us for the times when we happen across a beach, otherwise there is great disappointment. So instead of returning through the woods alongside Loe Pool as we’d intended, we retraced our steps beside the sparkling sea. One day we will return and do the loop, but today we were happy to sit and soak up the sun and see the sea. Just what we needed as we summon the energy for the next week which takes us to half term and a much needed break. Parking: Various National Trust car parks: Penrose Hill and other closer to the coast path, follow signs for Loe Bar. Toilets: None on our short route today. Cafe: I think there is a cafe on Loe Pool if you take the longer circular walk. Time: 20 mins or so from the car park on the edge of Porthleven, before you reach Parc an Als car park, see pic below. Probably only 10 mins from Parc an Als. It’s not safe to swim here, there are strong currents. Look out for Strapwort which was once native here around the pool; it died out and has recently been reintroduced. 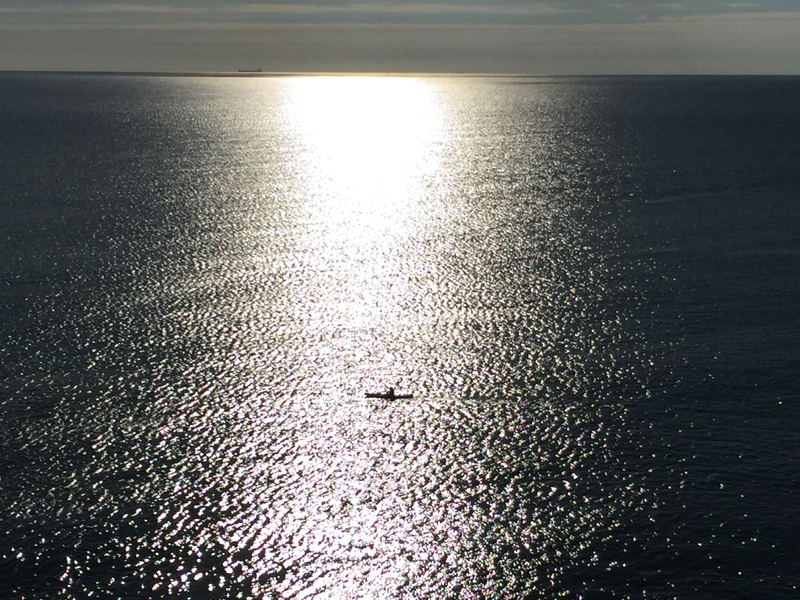 Take the costal path with the sea on your right and keep going! If you park at Parc an Als then your walk starts with the path up to the top of the cliff. We waked through this car park which is closer to Loe Bar.